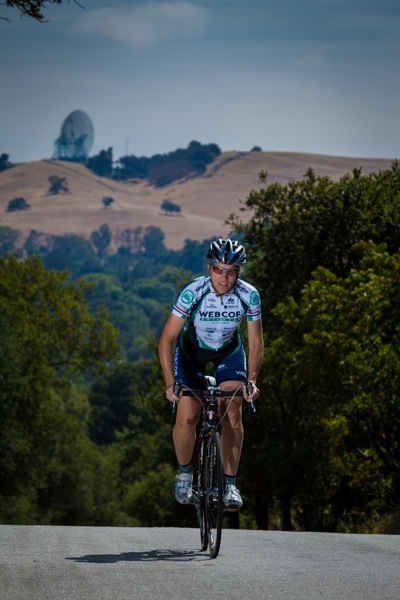 Christine participated in both the 2004 and 2008 summer Olympics, competing in both the road race and time trial events. She finished 4th in the time trials in 2004 and 5th in 2008. “I was a complete underdog when I qualified in 2004,” she recalled. “But it happened at a good time. I’d finished my residency in internal medicine and was doing mostly research, which made training easier. Her Olympic experience in Athens (2004) and Beijing (2008) were quite distinct. “The Greeks were barely ready,” she said. “The Village was a cross between an Army barracks and college dorm. Plus the U.S. security was very visible, almost as many of them as athletes. The FBI even had its own Olympic pin! Footnote: Christine is a rheumatologist at the Palo Alto Medical Foundation. She still cycles about six hours a week. She’s married to another Olympian, Ted Huang, a windsurfer who competed for Taiwan in 1996 and 2000. At the Summer Games this year, the men and women’s road races take place on the Mall in London on July 28 and 29.